Valencia Terminal Europa and MSC Terminal Valencia to become the first European port facilities to use hydrogen-powered machinery! 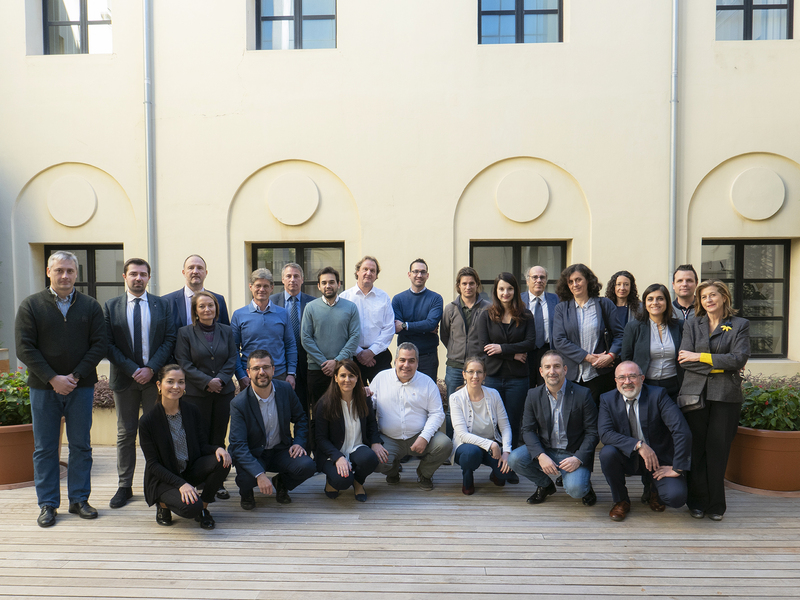 The kick off meeting of the European project “H2PORTS - Implementing Fuel Cells and Hydrogen Technologies in Ports” took place today, 5 February 2019, in Valencia. The project will test and validate hydrogen technologies for port machinery in order to achieve solutions that produce zero local emissions, without affecting the performance and safety of port operations. H2PORTS will allow these new prototypes to be demonstrated at the Grimaldi and MSC terminals in the Port of Valencia, which will become the first European port to incorporate hydrogen energy to reduce the environmental impact of its operations. H2PORTS will entail a total investment of €4 million . The project is coordinated by Fundación Valenciaport in close collaboration with the Port Authority of Valencia, and is funded by the Fuel Cell and Hydrogen Joint Undertaking (FCH JU) programme. The use of hydrogen for vehicles and machinery has previously been tested in the logistics and transport sectors, and this action proposes different pilot schemes to bridge the gap between prototypes and pre-commercial products. Specifically, within the framework of this project, three pilot initiatives will be tested in real-world operating conditions at the Port of Valencia: a hydrogen-fuelled reach stacker for loading/unloading and transporting containers; a terminal tractor for ro-ro operations, powered by hydrogen fuel cells; and a mobile hydrogen refuelling station that will supply the fuel needed to ensure the continuous work cycles of the abovementioned machinery, and that will operate in the Grimaldi (Valencia Terminal Europe) and MSC terminals in the Port of Valencia during the initial phase of the project. As a cross-cutting objective, the H2PORTS project will also carry out feasibility studies on the development of a sustainable hydrogen supply chain in the port, coordinating all the actors involved: customers, hydrogen producers, suppliers etc. Alongside Fundación Valenciaport and the Port Authority of Valencia, other project participants include the Centro Nacional del Hidrógeno (National Hydrogen Centre), and the private companies MSC Terminal Valencia, the Grimaldi Group, Hyster-Yale, Atena, Ballard Power Systems Europe and Enagás.